The Mitsubishi Pajero received a facelift. The Pajero is a true off-roader, and a legend in its own right. Power train options were either a 3.0-litre petrol v6 or a 3.2Litre diesel turbo. The standard package includes ActiveTrac four-wheel-drive with rear-wheel; full-time all-wheel and 4WD high and low range with locked centre differential. The long-wheelbase model holds seven passengers, with a third-row seat that can be folded into a well in the cargo area floor, or removed entirely. Features include an RV meter showing external temperature, time, date, compass, pressure, and altitude and maintenance intervals. It also has AM/FM Radio/ CD player with 6 speakers, automatic a/c, front dual airbags, keyless entry, power windows and mirrors, and 16-inch alloy wheels. Higher models get a multimedia entertainment system, fake wood interior trim, front and rear automatic a/c, traction control, ABS with EBD, cruise control, leather seats and 17-inch wheels. 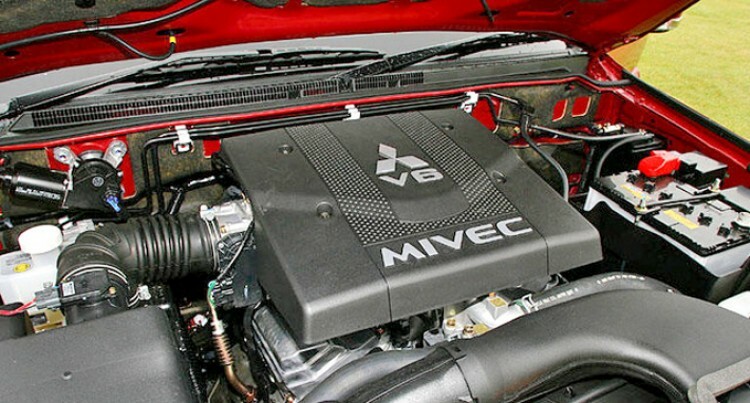 The variable valve timing multi-valve V6 engine would seem as modern as anything else, although its nominal outputs are by no means class-leading. The engine does respond well to throttle input and it provides a smooth power delivery. The five-speed automatic is easy to use with a manual mode allowing easy shifting for hill climbing. The shifts are positive and smooth. The Pajero’s part/full-time Super Select 4WD system has been around forever but is still a great system – it allows high-range 2WD, 4WD or 4WD locked and 4WD locked low-range.